This is the viral parking note that has everybody divided. 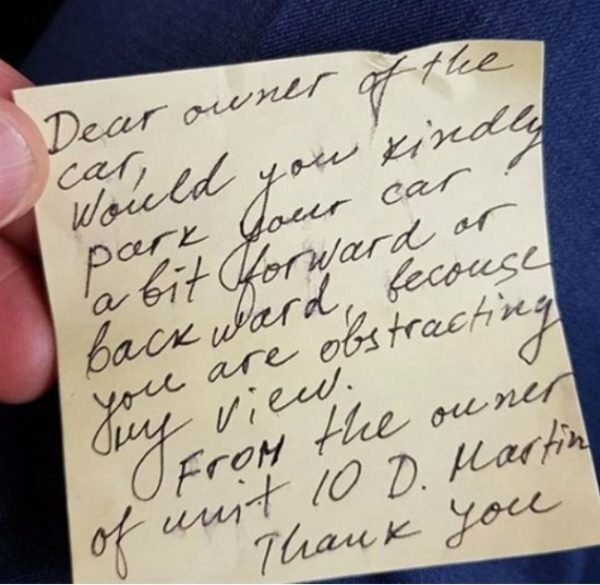 This polite note left on a parked car has divided the internet. Lately, it’s been feeling a little claustrophobic in Australia’s capital cities. As our population grows, it’s hard not to feel boxed in, and because of this, people have been getting irked by the little things, including where people are parking their cars. Well, one frustrated resident has taken matters into his own hands, leaving a note on the windscreen of a driver who dared to park in front of his house in Sydney’s Bondi. If you’ve ever been to Bondi, you’ll understand where he was coming from. That place is a nightmare to park in. But his issue wasn’t with the lack of available parking spaces, it was with the fact the car was blocking his view. Although polite in its tone, the note has divided people on the internet, and it’s worth mentioning here that the driver had parked legally. A frustrated resident in Sydney&apos;s Bondi left this note on someone&apos;s car. Image: Facebook. Would you kindly park your car a bit forward or backward, because you are obstructing my view. From the owner of Unit 10 D. Martin. Thank you." 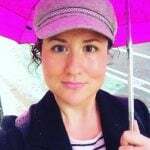 LISTEN: Should we ditch pram parking? Post continues below. Like the rest of the internet, we&apos;re a bit torn on this one. For one, finding parking in Bondi is kind of like stumbling across a unicorn. You ride that unicorn for as long as you can, even if it obstructs the views of other people, who are undoubtedly standing around admiring your fabulousness. Also, the driver was parked legally, so it&apos;s not like they&apos;d done anything wrong to warrant a note on their windscreen. But on the other hand, have you seen Sydney&apos;s property prices lately? There is no doubt in my mind that Martin paid at least $34 million for that view, even if he is living in a tiny apartment. He deserves to get his money&apos;s worth. And he was very polite about it. He&apos;s not telling the driver that he can&apos;t park there, he&apos;s just asking him nicely to inch his car forward or backward a bit. Let us know your thoughts on this one.